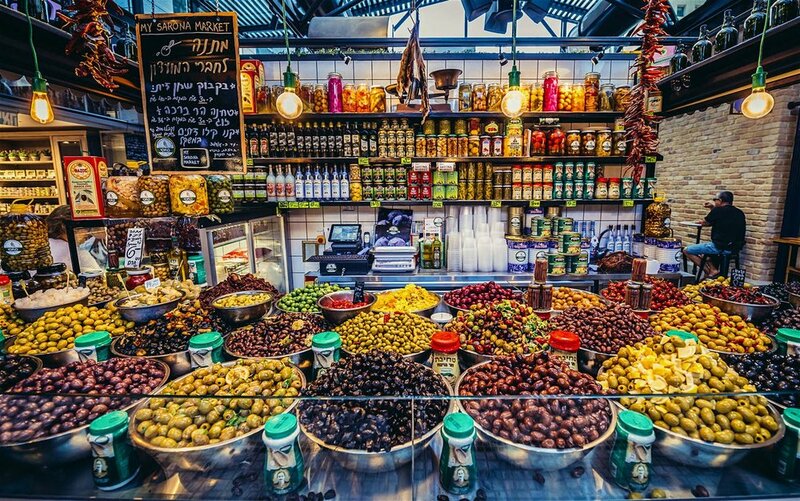 More in Tel Aviv — Christian Travel Study Programs, Inc.
Carmel Market in Tel Aviv. Stroll (or take a taxi) about 2 miles south to see this area which is a microcosm of life in this part of the country. Great for experiencing contemporary culture and people watching. Available any day. Located in downtown Tel Aviv, this museum has exhibits and a video about the founding of Tel Aviv … and moving on to the declaration of the State. While sitting in the room where the proclamation actually took place, you hear David Ben Gurion declare “to be in existence, the State of Israel!”, followed by “HaTikvah”, the Israeli national anthem. The Hall closes at 5:00 p.m.; earlier on Friday, and is closed on shabbat), and the entrance fee is 24 NIS ($6) for adults or 10 NIS ($2.50) for senior citizens. Great for lovers of modern history. Eretz Israel Mussum at Tel Qasile in Tel Aviv. RESTAURANTS (or ask the hotel reception desk) Spellings are approximate, since they come from Hebrew letters. Shtsupak and Old Man & the Sea are open on sabbath. Not sure of others. SHTSUPAK (pronounced loosely as Shtoo-pak) – “local joint” known for seafood, on Ben Yehuda, a block or so north of the Grand Beach Hotel. 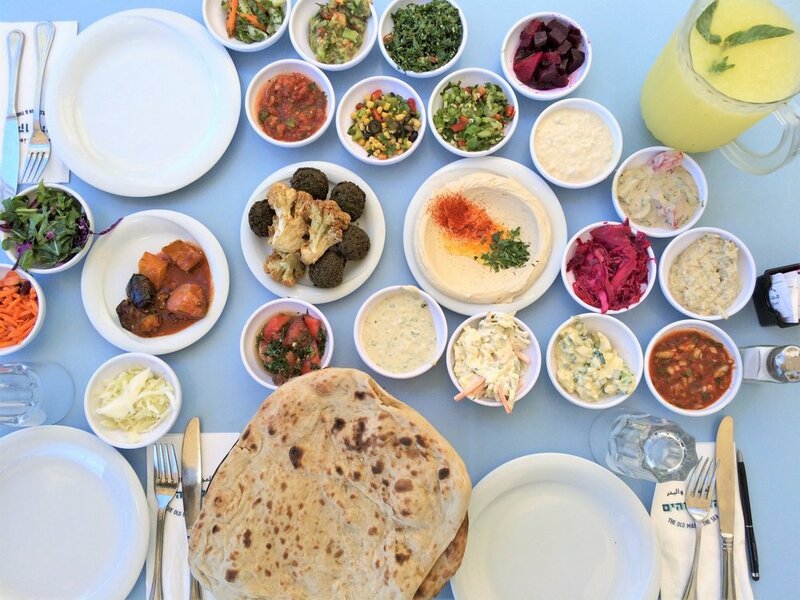 BARBUNYA – “local joint” known for fish, on Ben Yehuda, south of the Grand Beach Hotel. MANTAREY - gourmet (and more expensive!) at Banana Beach (south towards Jaffa). I’ve not been there, but it is well known. OLD MAN AND THE SEA (HAZAKEN VE HAYAM) - at the Jaffa Port; bigger than the other places. Their Labrak is probably the best fish I’ve ever had … plus other seafood lamb, beef, chicken, etc. They also have a newer, more modern location nearby. The new location looks nicest, but I’ve heard the food at the original location is better. Old Man and the Sea Restaurant won’t leave you wanting more!